Okechukwu Okegrass Ofiaeli is an artist, educator, and environmentalist, whose entrepreneurial project Waste to Wealth (1980s-present) leverages the power of collective art making to provide eco-friendly alternatives for making money off the land. The project came into being as a response to the practice of bush burning, which has devastated many parts of Nigeria, depriving the soil of nutrients and causing mass erosion. Waste to Wealth combats burning practices by rethinking the bush as a cash crop. 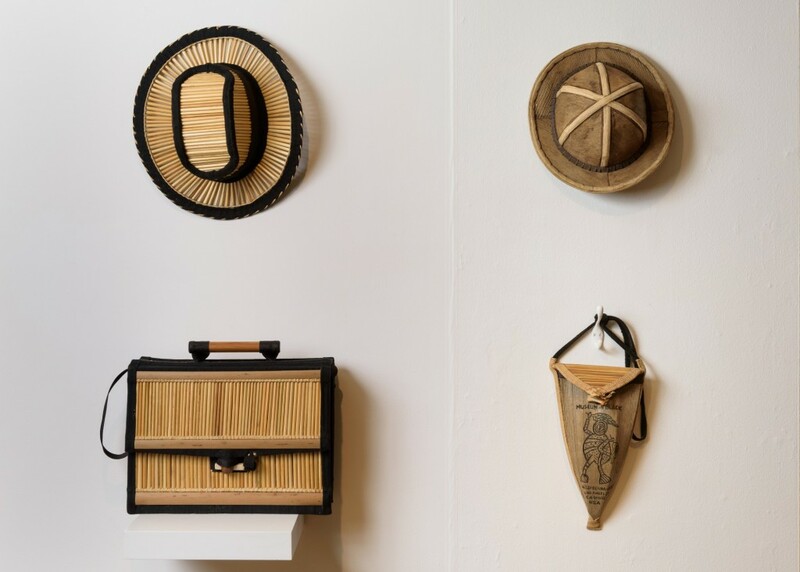 To implement each project, Ofiaeli sets up looms and teaches individuals how to weave design, and sell hats, handbags, and briefcases made of elephant grass. He oversees the selling of these products, returning the money to the communities that make the goods. Ofiaeli brought a version of this project to Southeast Queens in the wake of Hurricane Sandy, inviting residents to make art objects and usable goods from uprooted sycamore trees. Cowboy Hat, 2017, Elephant grass straws and fabric Boater Hat, 2017, Raffia, coconut materials, and fabric Purse, 2001, Elephant grass, coconut materials, and fabric Briefcase, 2017 Elephant grass straws, mahogany seed shells, and fabric All works courtesy of the artist.